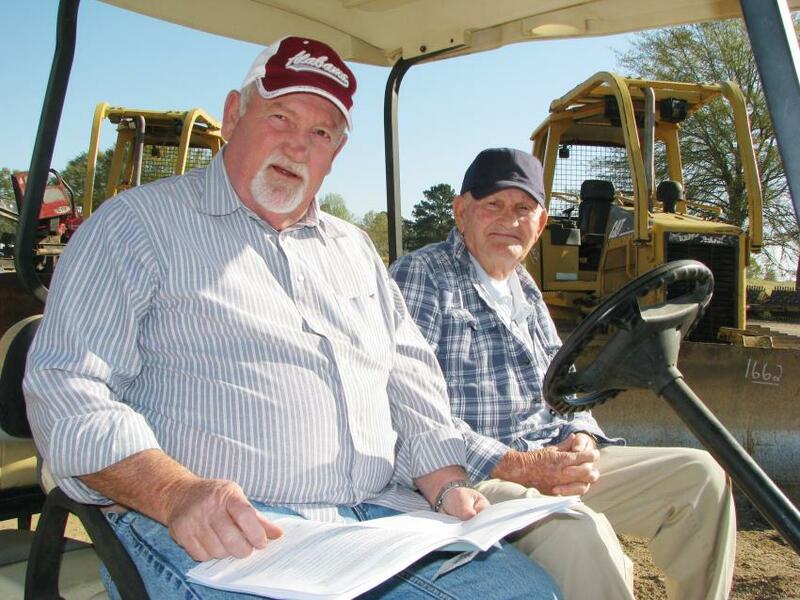 Deanco Auction Company's big two-day public auction March 27 and 28 at the company's Philadelphia, Miss., location attracted another big turnout of onsite registered bidders, as well as a stout online bidding presence. 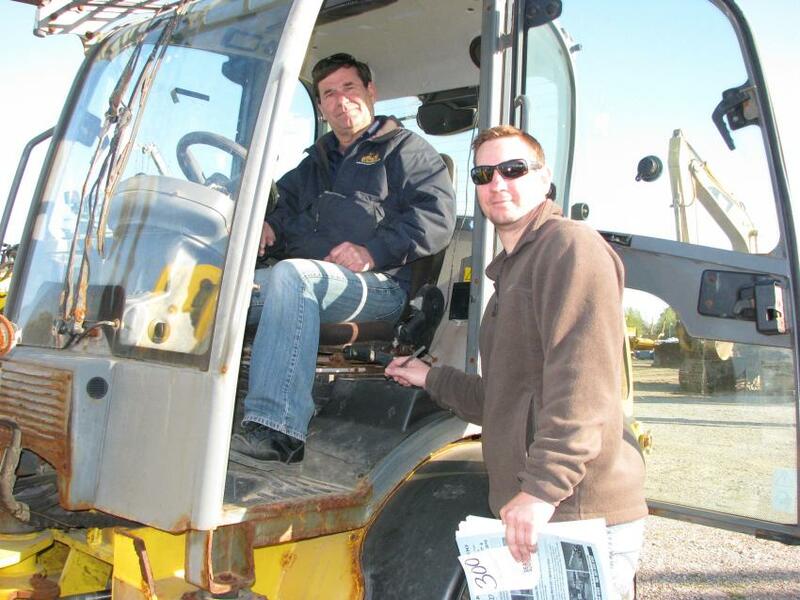 Test-operating a Wacker Neuson WL-36 compact wheel loader are John Chartrand (L) and Ken Chartrand of Chartrand Equipment, Red Bud, Ill. 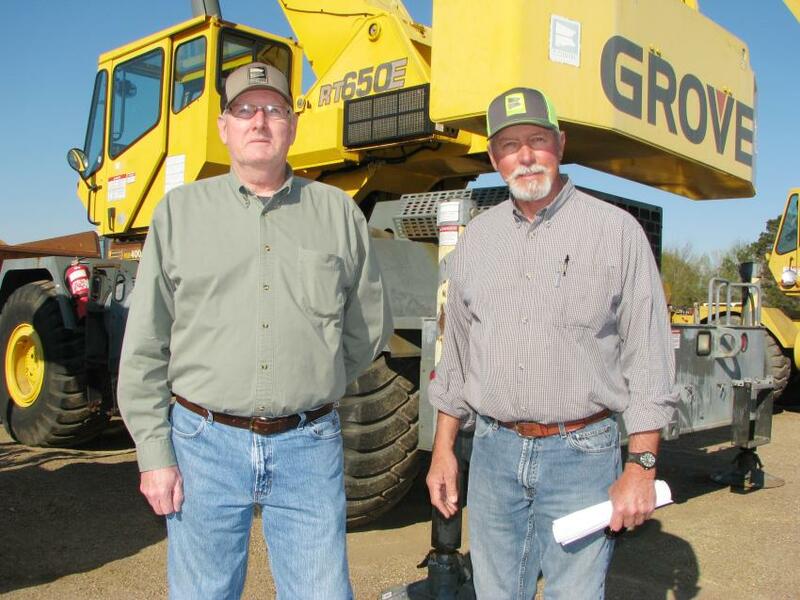 Looking over a 2001 Grove RT650E rough-terrain crane are Jess McHugh (L), retired sales representative of Cowin Equipment, the dealer that sold the machine when new, and his brother-in-law, John Garrison of Garrison Steel Erectors, Birmingham, Ala.
Kenny Dodd (L) and his dad, Dean Dodd of D & D Sales, Winfield, Ala., cruise the auction site by golf cart looking for the machines they plan to bid on. 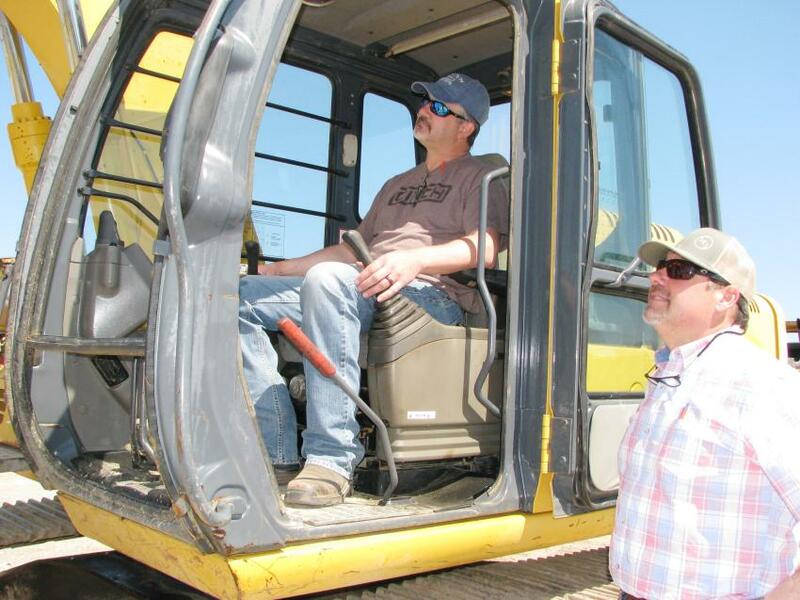 Looking over some of the hydraulic excavators in the sale line-up, including this John Deere 240D LC are Craig Davis (L), Warren Ballard and, up in the cab, Drew Elmore, all of Ballard Builders Inc., Winfield, Ala. 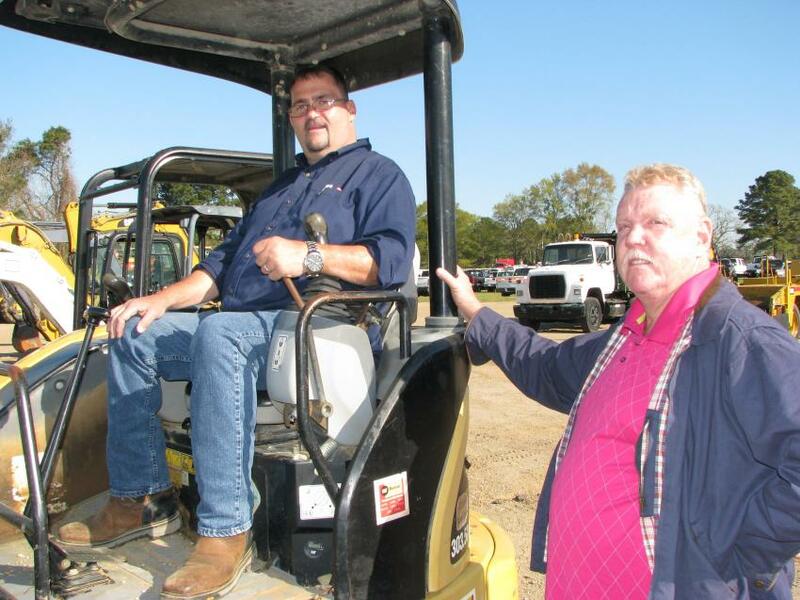 Looking to snag a deal on a mini-excavator, likethis Cat 303.5CR, are Roger Flippo (L) and Steve Colburn of S&J Auto Sales, Aberdeen, Miss. 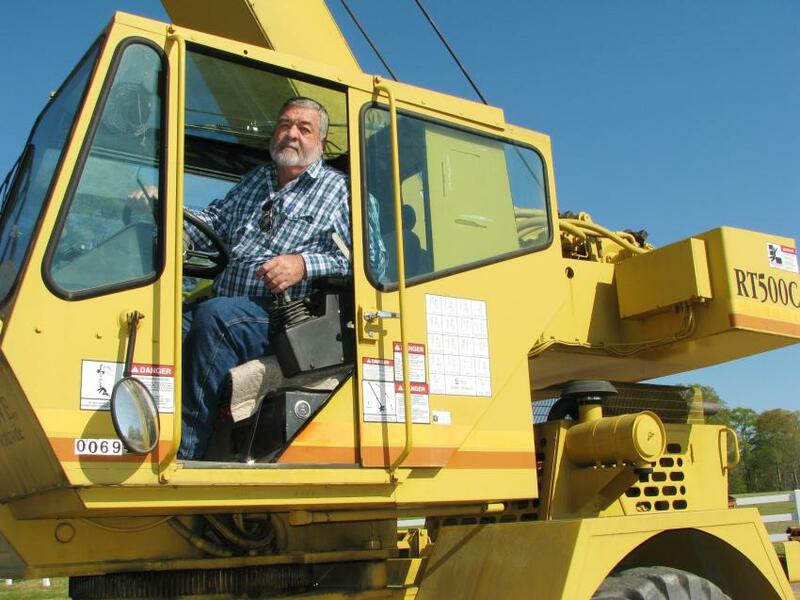 Testing out a Grove RT500C crane in the sale is Steve Woodard of Woodard Crane Service, Ozark, Ala. 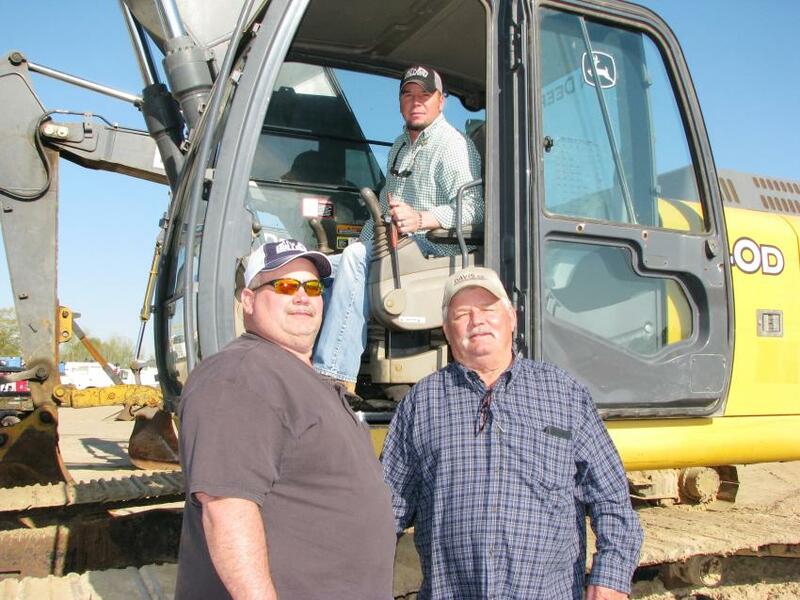 Checking out a Deere 120C are Sidney McClain (L) of S & S Equipment Sales, Houlka, Miss., and Mark Latham of Southern Equipment Sales, Finger, Tenn. 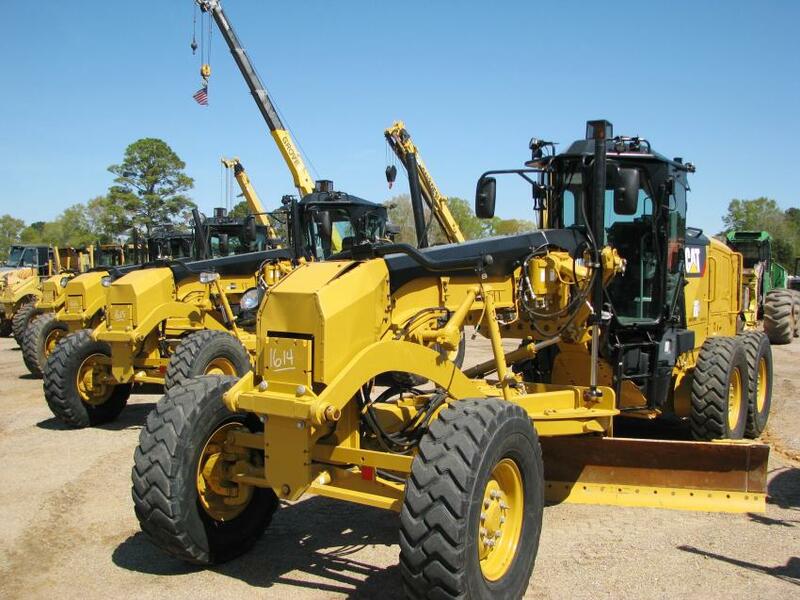 The lineup of motorgraders in the sale featured a package of four Cat 140M3s. 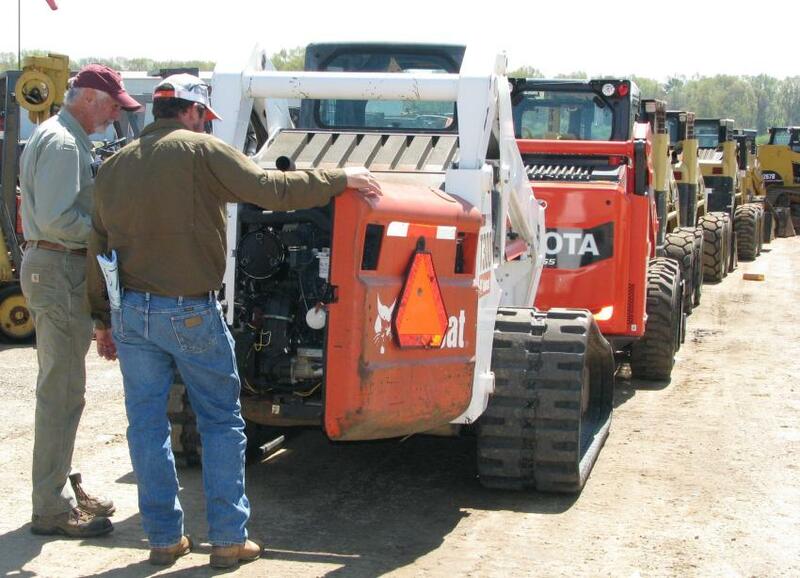 Bidders take a last-minute look at some of the compact track loaders lined up and ready to hit the ramp to be auctioned off.